The record is available for download from Amazon and is also streaming on Spotify. The band is Alex Schultz on guitar, Mike Hightower on bass and Eddie Clark on drums. 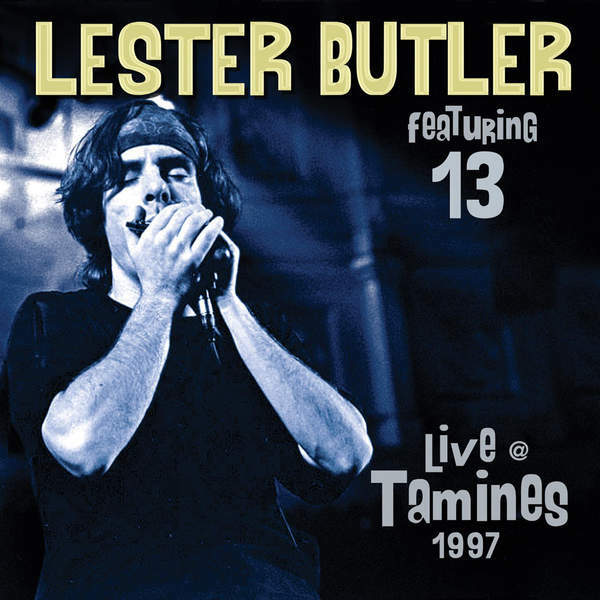 The front cover is not from the Tamines show, but instead is a well known picture of Butler fronting The Red Devils at the Paradiso in Amsterdam four years earlier, in May 1993. The photo is credited to Luuk Denekamp. We have reached out to Denekamp about this and other photos in the past, but have never heard from him. This project’s producer is James Austin, who handled those duties on the “13” reissue. He also suggested RockBeat Records was interested in offering more “credible reissues” of Butler’s material. This seems to be the fruit of that wish. We’ll hold off on a full review until the disc arrives. This entry was posted on October 31, 2015 at 6:43 pm and is filed under 13, lester butler with tags alex schultz, eddie clark, james austin, mike hightower, Rockbeat Records, tamines. You can follow any responses to this entry through the RSS 2.0 feed. You can leave a response, or trackback from your own site.